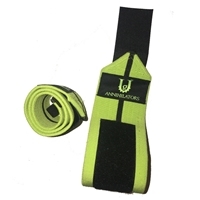 Unbreakable Gear's ANNIHILATORS Wrist Wraps will give you a cast-like feel, while still being comfortable & pliable and will increase your wrist support and the amount of weight that you can lift. They are less aggressive than the Destroyers but will still have you prepared to break PR's all day long. Available in 24" and 36".. THESE ARE THE BADDEST WRAPS ON THE PLANET!!!! Unbreakable Gear's "Destroyers" Wrist Wraps are just like their name - They will destroy other wraps while you'll destroy the weights. These wraps will give you a cast-like feel, while still being comfortable & pliable. Increase your wrist support and increase the amount of weight that you can lift. Be ready to break PR's all day long... (Recommended for Experienced Lifters.) 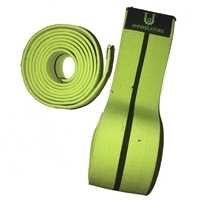 Available in 24" and 36"
The Unbreakable Gear NEW CONTENDER KNEE WRAPS are UG's newest line of wraps. They are less aggressive than the Annihilators, but will give you the same results- PR's all day!! 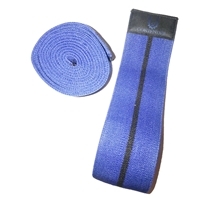 Strength and support is what these wraps give with xtreme comfort and pliability. Available in 2M. *They Have Arrived! 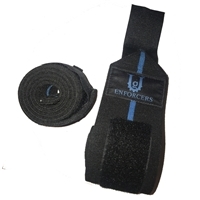 Meet UNBREAKABLE GEAR’S NEW ENFORCER WRIST WRAPS!! Until NOW, Ladies & Gentlemen we introduce the UG “ENFORCERS.” Over a year in testing, we bring you a Game Changer in wraps! They will lock your wrist into place to be able to take those big benches with ease! Be ready to break PR’s all day long!! (Recommended for Experienced Heavy Lifters.) Available in 36”. Unbreakable Gear's NEW Elbow compression sleeves are made from 7mm thick neoprene, delivering consistent support. This sleeve is very durable and flexible allowing our athletes to tear through a regimen without discomfort or a restriction of movement. 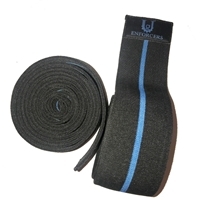 UG Sleeves supply joint compression and warmth to promote better blood flow and reduce the direct strain on the joints during use. Measurement: Check the measurements with your arm locked, and muscles relaxed, then select the size to best fit both measurements. Here they are- a LIMITED EDITION of the Baddest Wrap on the planet - UG DESTROYERS! Limited quantity, so order yours now.. $50!!! Same bad Azz performance with a NEW , Black with Red stripe look for 2019 . If you are looking for killer wraps in black- these are the ones! *They Have Arrived! 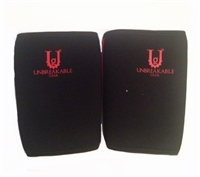 Meet UNBREAKABLE GEAR’S NEW ENFORCER KNEE WRAPS!! For over a year people knew our Destroyers to be “The Baddest Wraps on the Planet.” Until NOW, Ladies & Gentlemen we introduce the UG “ENFORCERS.” Over a year in testing, we bring you a Game Changer in wraps! Xtremely Stiff. Xplosive Power out of the hole. Be ready to break PR’s all day long!! Plus, the Enforcers are now officially approved for the USPA ! (Recommended for Experienced Heavy Lifters.) Available in 2.5m.